Rural Retreat Lake is a 90-acre DGIF-owned impoundment. Many anglers enjoy fishing for Muskie and Bass in the lake, as well as a fully stocked trout pond adjoining the lake. 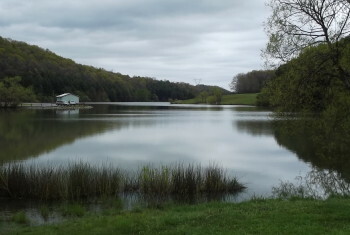 Opening in May of each year, the Rural Retreat Lake Campground offers over sixty primitive and full hookup camping sites to local residents and visitors. 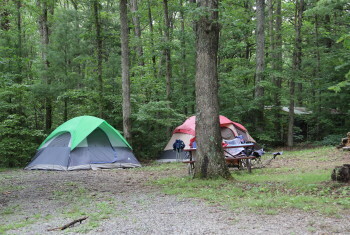 In addition to camping, the campground also offers a variety of activities campers, including fishing, hiking, Frisbee golf, picnic and a public pool. If you like outdoors, making memories and being active, then you’re going to LOVE the Rural Retreat Lake! Available activities include fishing, camping, swimming, hiking, birding, picnicking, boating, Frisbee golf, volleyball and biking! Give us a visit and discover why so many families choose to make memories at the Rural Retreat Lake! Check out why so many people make the decision to come visit Wythe us!